The Northern Michigan Tennis Association is a non-profit corporation which is the governing body of tennis in Northern Michigan.The officers and staff of NMTA are very pleased to provide this site for other tennis enthusiasts. We will provide information about upcoming tournaments, leagues and other events, as well as tournament and league results. 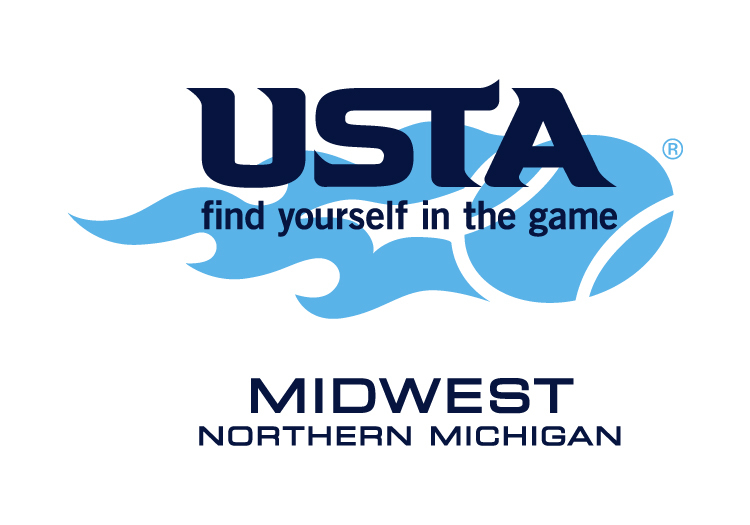 The Northern Michigan Tennis Association is one of the 13 districts of the USTA/Midwest Sections, which in turn is the governing body of tennis in an area comprised of the states of Ohio, Indiana, Michigan, Wisconsin, most of Illinois, and part of West Virginia and Kentucky. The Midwest is one of the seventeen sections of the United States Tennis Association (USTA), which in turn is the governing body of tennis in this country. Our mission is to "To Promote, Develop, and Service the Game of Tennis."